Get ready for long lazy days and family barbecues in the garden with the great value range of summer essentials on offer at TJ Hughes. Mow the lawn, power-wash the patio, and choose from a collection of beautiful and cheap garden furniture and accessories to suit every budget and taste. Once the outside space is sparkling - thanks to the Vax PowerMax 1700w Pressure Washer VRSPW1 - treat the family to lunch in style. 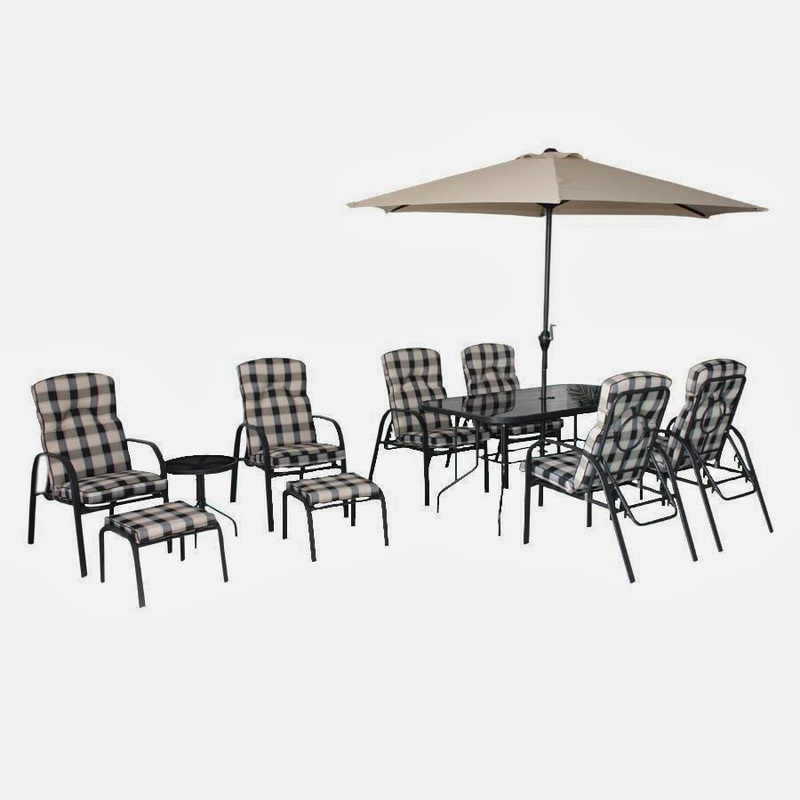 The Winchester 11 piece patio set will make sure no one is left without a comfortable place to sit and eat, with its six padded, adjustable chairs, two footstools, side table, umbrella and 150cm by 90cm table. 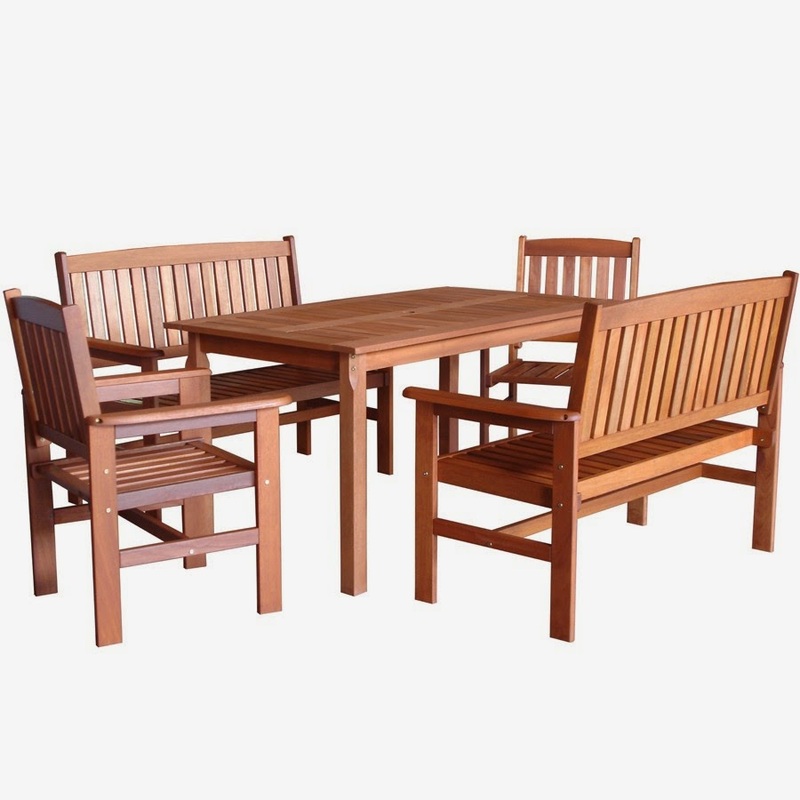 Families with children cannot fail to appreciate the practicality and style of the Tropicana 5 piece garden set, with benches and chairs to ensure that everyone can relax and enjoy being outdoors. The 140cm by 80cm table offers a spacious eating area, whilst the two 121cm by 63cm benches and two extra chairs make certain that there is room for all the family - and a few friends, too. There is no need to worry about carrying furniture inside and out with every shower, either. This hard wood, weatherproofed set is just perfect for a British summer. 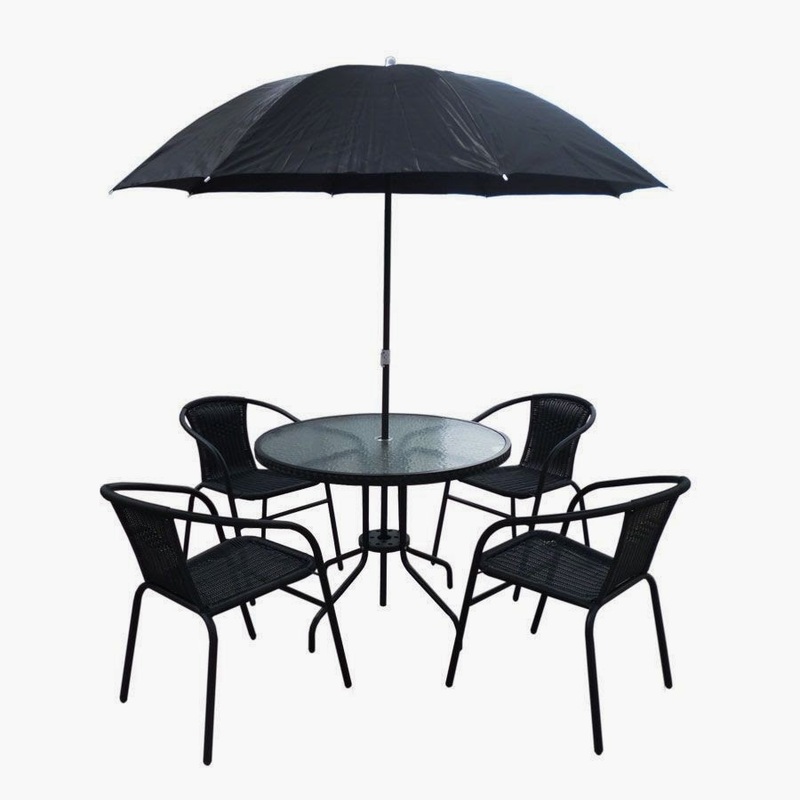 For a smaller gathering - or just breakfast in the sun - the Amalfi 6 piece set in black rattan is the perfect choice, offering a round glass-top table with a bevelled edge, four chairs with arms for comfort, and a six-bone adjustable parasol. There is not even any need to put this away at the end of the summer. It will look just as good in a conservatory as it does outside. 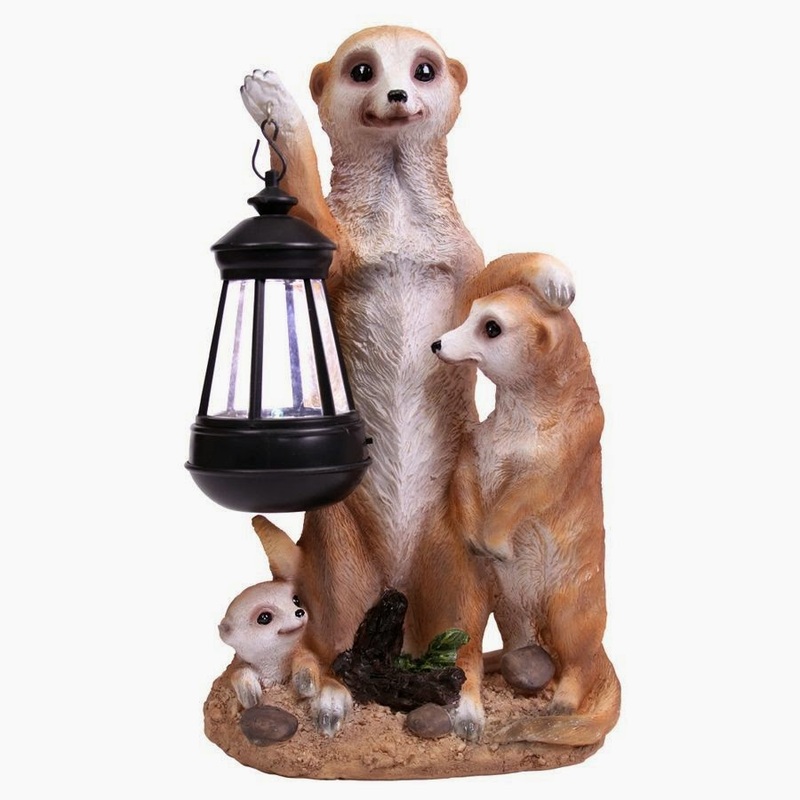 Add a touch of humour to the garden with a novelty meerkat solar light. These little fellows are both fun and practical, offering a bright aura of light that will make you smile, and help you find your way. There is no need for messy wires as these cute meerkats come ready-installed with a rechargeable battery and an auto sensor that will turn on automatically when it gets dark.